Could an entire city really burn to the ground? Oscar Starling never wanted to come to Chicago. But then Oscar finds himself not just in the heart of the big city, but in the middle of a terrible fire! No one knows exactly how it began, but one thing is clear: Chicago is like a giant powder keg about to explode. An army of firemen is trying to help, but this fire is a ferocious beast that wants to devour everything in its path, including Oscar! Will Oscar survive one of the most famous and devastating fires in history? 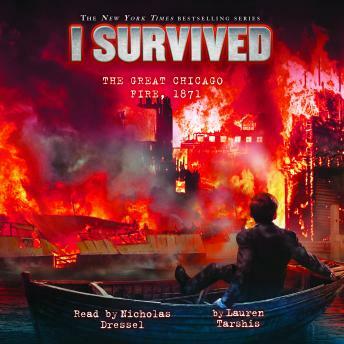 Lauren Tarshis brings history's most exciting and terrifying events to life in this New York Times bestselling series. Readers will be transported by stories of amazing kids and how they survived!